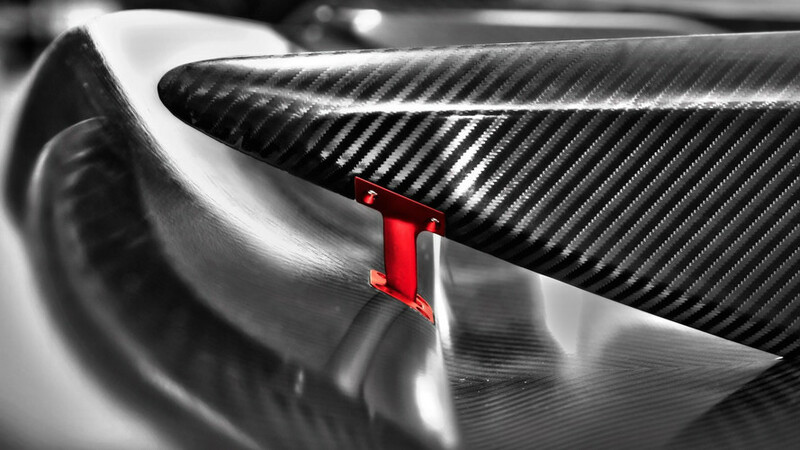 From the ashes of Gumpert rises the new company, Apollo Automobili. Now owned by Hong Kong-based investment fund Ideal Team Venture, the supercar company introduced its first real vehicle, the Arrow concept, at the 2016 Geneva Motor Show. Today we get a taste of the first production model, the IE… though there isn’t much to see apart from a few detailed teasers. 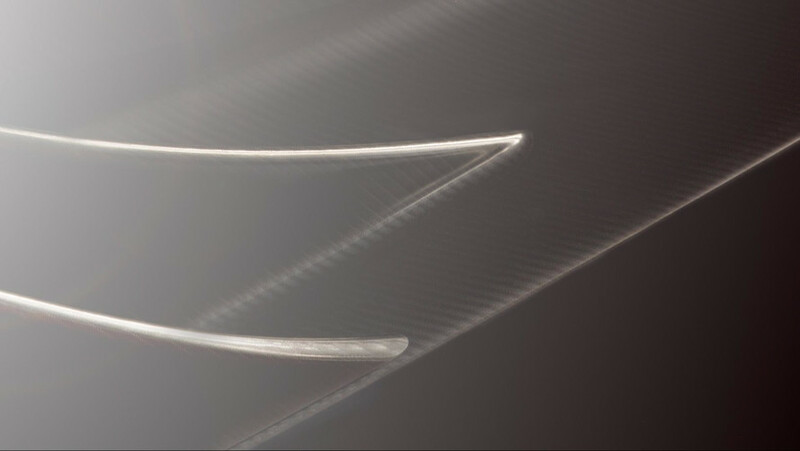 Last week’s lone teaser image showed off the shadowy rear of the new supercar, which vaguely resembled the Arrow concept before it. 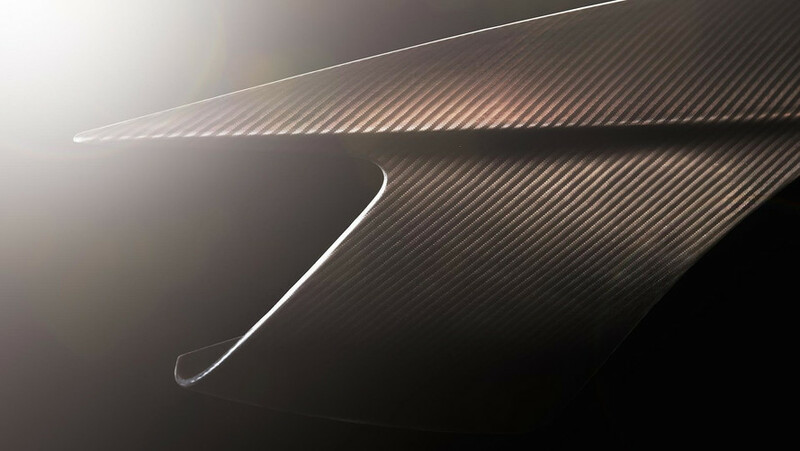 The new set of photos gives us some close-up details, including the carbon fiber rear diffuser, what looks like the carbon fiber front splitter, as well as some sculptural components seen on the clay molding. Already we know that the IE will have a massive curved wing, centrally mounted triple exhaust tips, and a sleek set of taillights. Most, if not all of the body will be constructed out of carbon fiber, and the supercar should tip the scales at somewhere under 3,000 pounds (1,360 kilograms) based on the Arrow’s 2,866-pound (1,300-kilogram) curb weight. The supercar will be produced in Italy together with Manifattura Automobili Tornio (MAT), and will be equipped with a powerful V12 engine. For reference, the original Arrow concept featured a 4.0-liter biturbo V8 that produced a whopping 1,000 horsepower (745 kilowatts) and 737 pound-feet (1,000 Newton-meters) of torque. Power was sent to the rear wheels via a seven-speed sequential gearbox. 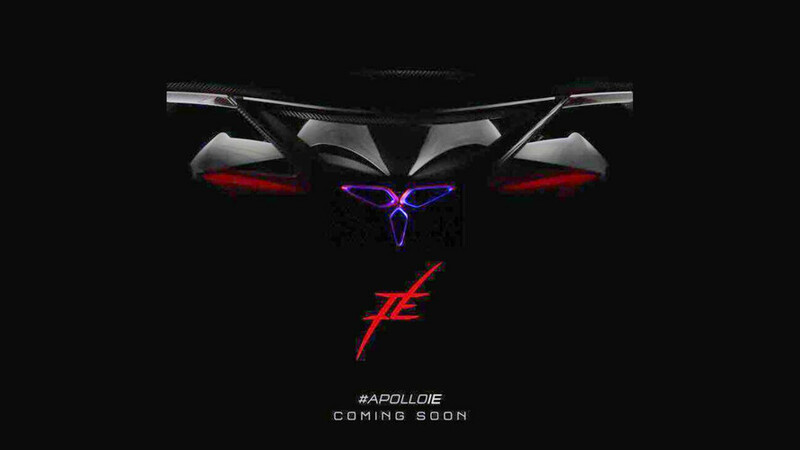 Apollo says that the new IE supercar will be even more powerful than the original concept it debuts. 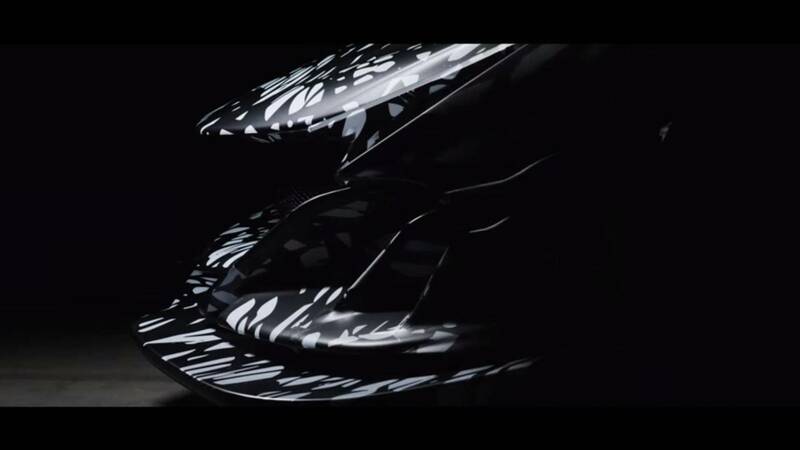 No official release date was given, but expect to see the all-new supercar in just a few weeks.